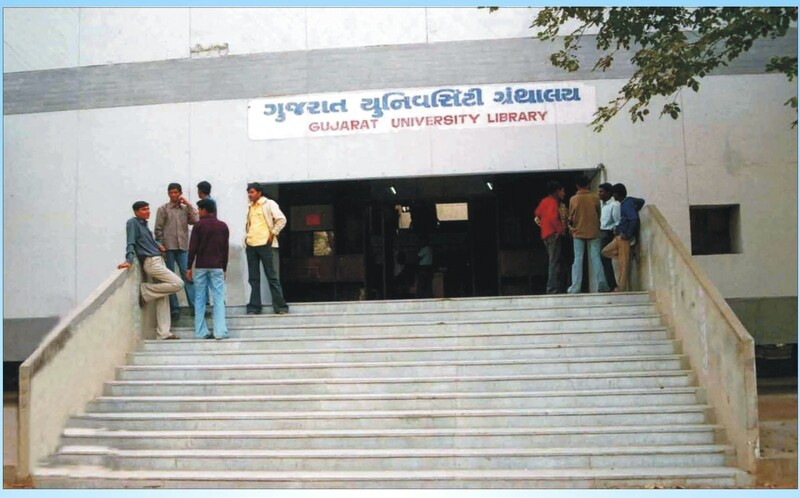 Gujarat university library was started along with its parent body the Gujarat University . The University Library moved to its newly constructed building in May 1967. The Library have more than 3,50,457 books. 11,600 E-Books and 7,500 E-Journals. The Library adds about 5000 books every year and subscribes to about 250 Printed periodicals in various subjects. This library caters to the needs of the students and teachers of the University at large. In addition, there are small libraries attached to each school / department in which house texts and reference books on courses being currently offered by the respective school / department are provided. These books are issued from the Central Library on long-term basis to each school / department. The department and school libraries offer books and reading-room facilities to their students and teachers. Also there is a reading room attached to the Central Library. The reading room can accommodate 600 readers. They can sit and read at the same time. For those students who find the Central Library away from their residence, nearer centres are provided by the university in the Ahmedabad city, such as centers at Hajipur, Saraspur and Khokhra-Mehemdabad. To acquire and collect books, manuscripts, Journals and other reading materials and organize them. 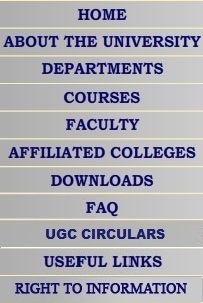 To collect all kinds of E-Resources which may be useful for teaching and research. To provide reading materials for use. To adopt new techniques of classification and cataloguing, makes bibliographies and checklists and provides reference service to readers. To make available resources to the students and teaching as well as non teaching community. With the help of heads of the department of various subjects, a library should co-ordinate its library activities which are related to teaching and curriculum programmes of a university. To arrange study material on specific regions in the form of area studies Development. To inform the teaching faculty about the university activities to bring books, students and scholars together and create a situation in which curiosity about knowledge, research and reading is aroused. Gujarat University Library signed memorandum of understanding on “ SODHGANGA” A Repository of Indian Electronic Theses and dissertation with Dr. Jagdish Arora, Director, INFLIBNET Centre on 4th June 2012 in presence of Shri Ramanbhai Vora, Hon’ble Education Minister of Gujarat. 61 Ph.D Theses of Various discipline were uploaded and made it Available on sodhganga@inflibnetcentre to the entire scholar community for open access. Gujarat University Library is in the last stage of automation. Students, Research Scholars and faculty members can access the 3,14,097 Bibliographical database, E-Resources, E-Books, E-Journals & Useful Websites through WEBOPAC in any corner of the Gujarat University. Separate Competitive Exam Reading Centre with resources. Separate reading centre for Girls.